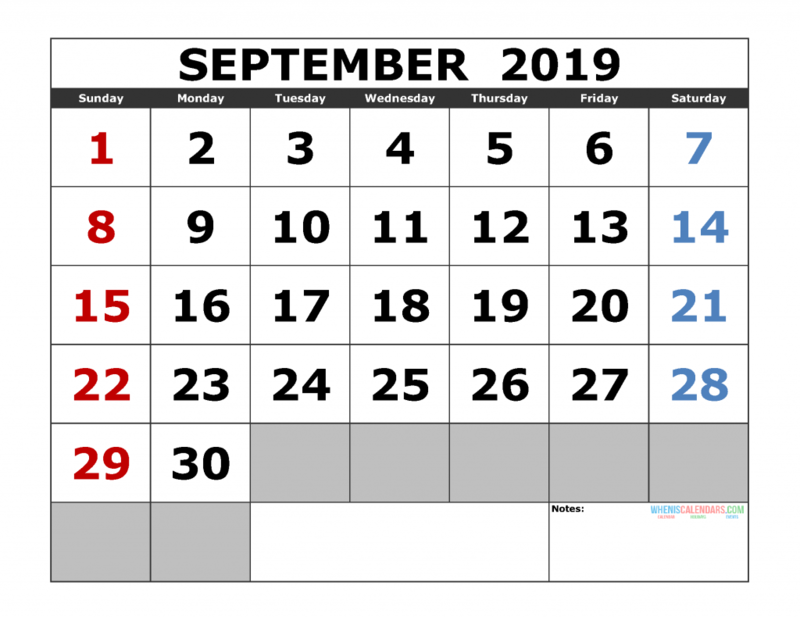 Download free this Printable September 2019 Calendar Template, Landscape Format. 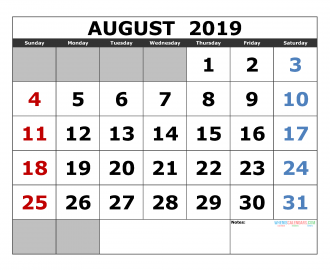 Simple calendar with large font, clear, easy to view and print. 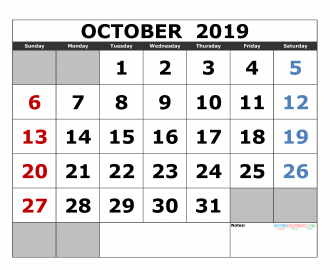 Scroll down to preview then select file format and download calendar template to your computer. 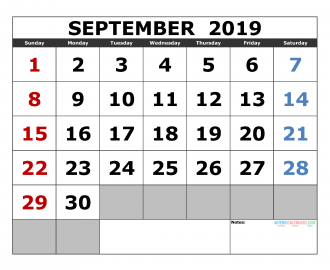 Click below links to download this printable September 2019 calendar template.